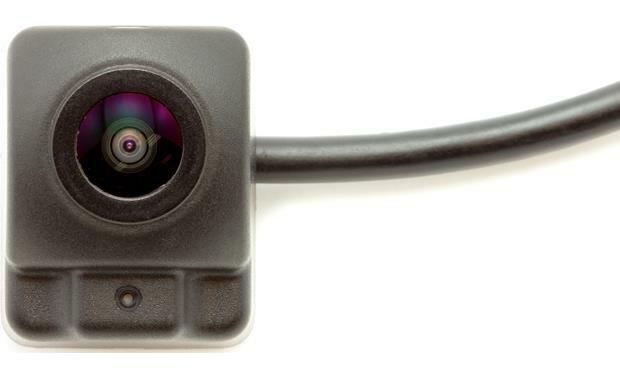 The Clarion CC720 Vision Assist Rear View Camera steps up rear-view camera quality with a 1/4″ color CMOS sensor for a crisp image when backing up, and it features a composite video output so that you can pair it with any compatible aftermarket video receiver. This camera also equips you with selectable parking lines and a 160-degree wide-angle lens to give you an accurate view of what’s behind you. And with an impressively low 0.1 Lux minimum rating, you’ll always have a clear picture, even when it’s pitch black out. Additionally, a built-in mic captures audio as well as video and is compatible with car receivers, like Clarion’s NX706, which feature corresponding rear video and audio inputs. Whether you’re a brand new driver or just in search of a little assistance while reverse parking, you’ll feel at ease with the wide 160 degree rear viewing angle offered by the CC720. CC720’s 0.1 lux CMOS sensor contains over 348,000 active pixels. Images are consistently crystal clear and free of smear effects. Enjoy perfect visibility, even at night! Within its compact body, the CC720 houses an external microphone. When backing out of a parking space or your driveway, you’ll not only be able to see what’s behind you, but also hear what’s behind you. This is especially helpful when children may be around. From parking structures and shopping malls to residential driveways, a wide rear viewing angle can help you avoid accidents, especially in high traffic areas. 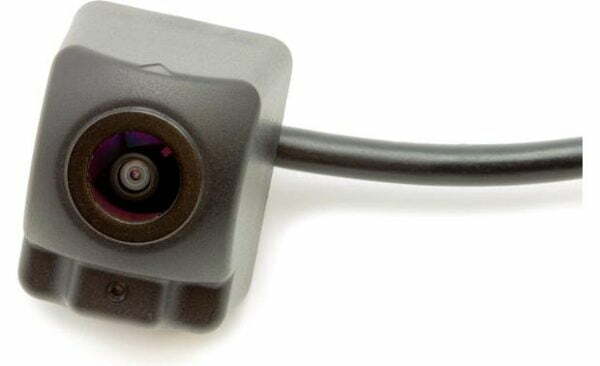 By connecting the CC720 to a Clarion navigation multimedia unit, you’ll be able to view different colored guide lines to indicate the distance from your vehicle to a safe stopping point. The CC720 is capable of providing true or mirror images based on where you choose to mount it. By mounting on the front of your vehicle, you’ll see a true image. By mounting on the back of your vehicle, you’ll see a mirror image. Clarion Canada 1 Year Warranty Parts and Labour.